Aamir Khan has a huge fan following in China, the perks of which are being enjoyed by wrestling drama Dangal, which has completed four days at the Chinese theatres. Dangal reached a blockbuster status in India with a record-breaking box office figure of Rs 385 crore and the film is raking up no less of a storm in China. On its first Monday at the Chinese theatres, Dangal has made Rs 18 crores, reported trade analyst Taran Adarsh. 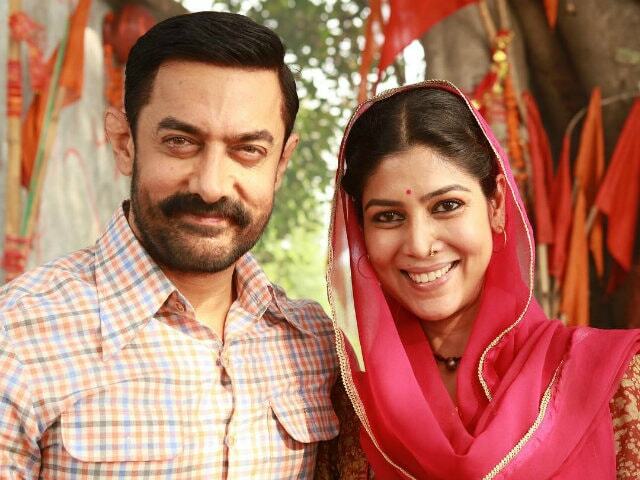 The amount is just six crores under what the Aamir Khan-film had made on its first Monday in India - Rs 25.48 crores. However, Dangal's impressive Monday performance should not come as a surprise after ticket sales of the film in China fetched Rs 72.68 crores over the first weekend. Dangal is now steadily headed towards a box office century. Currently, the box office collection of the Nitesh-Tiwari directed film stands at Rs 90.58 crore. "Extraordinary," said Mr Adarsh. #Dangal has an EXTRAORDINARY Monday in China... Collects $ 2.80 million... Total: $ 14.07 million [Rs 90.58 cr]... Racing towards Rs 100 cr. Dangal is based on the real-life story of Haryanvi wrestler Mahavir Singh Phogat, who trained his daughters to be wrestling champions. Aamir Khan features as the protagonist while actresses Fatima Sana Shaikh and Sanya Malhotra play the Phogat sisters with TV star Sakshi Tanwar cast as their mother. Meanwhile, Dangal's release in China arrives at a time when S S Rajamouli's Baahubali: The Conclusion is shattering all box office records in India, having already made over Rs 1000 crores.